Now available through Wipf and Stock! 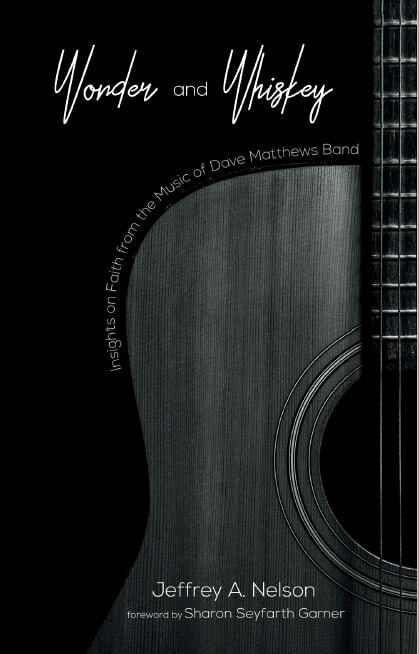 Dave Matthews likes Jesus, but not dogmatic beliefs about him. He openly wonders about God’s existence while singing of showing love to each other as life’s highest ideal. His songs celebrate making the most of each day’s pleasures because we aren’t guaranteed tomorrow, but also caution against overindulgence. His music wrestles with deep questions about identity and mortality, while proposing that upholding others’ worth is one of the most important roles we can fulfill. Wonder and Whiskey is an exploration of the lyrics of Dave Matthews Band as a multilayered call to be present in the moment, both for oneself and others, as well as how these ideas intersect with the highest aspirations of a lived Christian spirituality. ...Christian believers who enjoy making connections between faith and popular culture.